MasterCard ata credit cards nila..
Isang card lang yata ito... AUB Easy MasterCard lang yata. Wala silang premium cards. Sinubukan ko. hehe. Try lang. pag click mo ng submit button may email agad sa yo ng instruction ng documents to send sana yung reference number mo. Ha ha panalo ba? Pinanuod ko rin eh. Parang teleserye. Balitaan niyo kami kung free af for life saka Founder Member na status. I sort of tried to use google spreadsheets to check and see what happens with a larger amount. 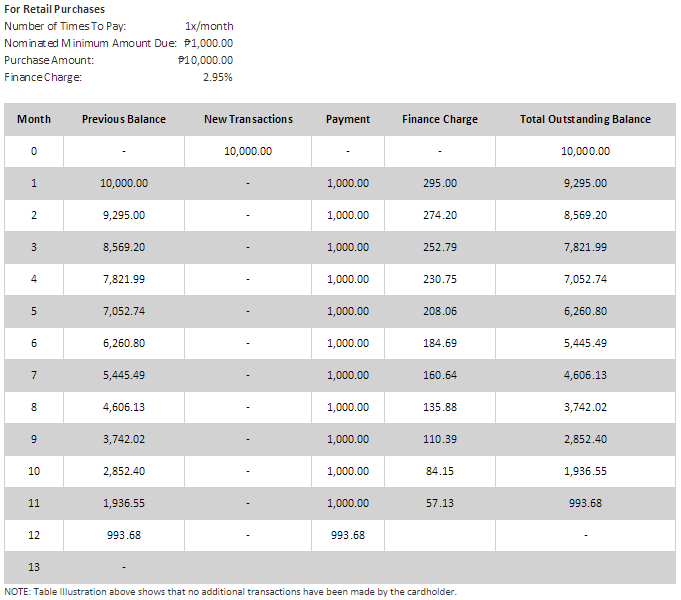 But I have to admit, AUB has a better system cause of the transparency of their finance charge thing. I'm waiting if they have SIP, credit to cash etc. the 1k monthly payment allows you to "spread" your payments if you only have 10k charged to your card. But once you go higher, that 1k will only hurt you in the long run. So medyo misleading din ang commercial nila. I tried inputting 37k for a laptop I was planning to buy, as long as I'm paying 1k per month, by 36 months or 3 years later, my outstanding balance is 42k lol. in fairness sila ang may pinakamura na AF 1,200 at EMV chip card na. kelan kaya magka EMV ang security bank cc..